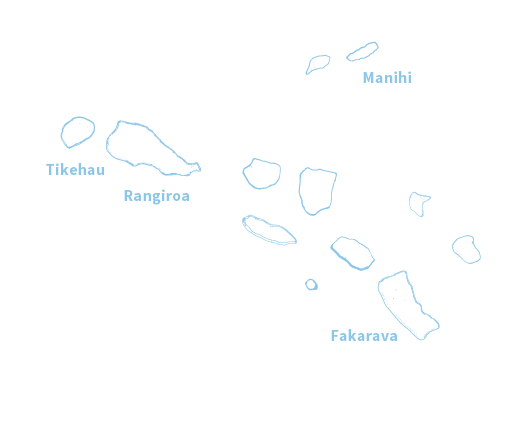 TAHITI TOURISME, a French Groupement d’Intérêt Economique governed by the provisions of Article L.251-1 and following of the Commercial Code, the head office of which is in Papeete, Gare maritime – 2nd floor, Postal box n°65, 98713, Papeete, registered with the Corporate Register of Papeete under No. 4673 D.
This website does not collect personally identifiable information about you unless you voluntarily provide it to us. This means that we will not know your name, your email address or any other personally identifiable information just because you browse the website, unless you have created an account and log-in when you access the website or access the website from a link in an email that we sent to you. When we need to collect personally identifiable information from you to provide you with a particular service, we will ask you to voluntarily supply us with the information we need. To monitor website usage and improve the quality of our website, we gather general information about the use of our website. We may conduct online surveys via pop-up windows on our website. Participation in such surveys is voluntary and you may decline to participate. 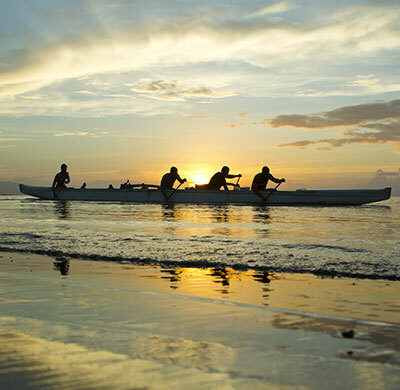 In general, the data collected in such surveys will be used by Tahiti Tourisme and not shared with any third parties. 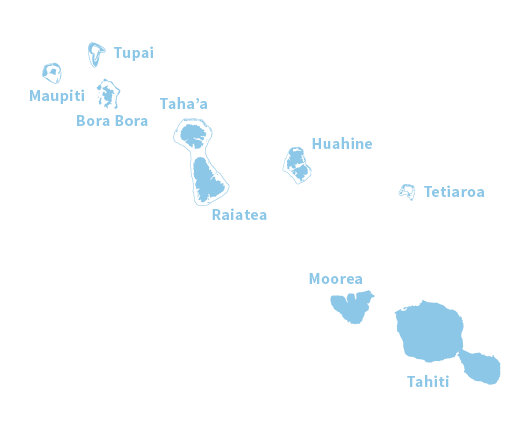 The website has a section that allows certain visitors, marketing partners or other pre-approved service suppliers to upload and edit information to the website, including but not limited to certain marketing promotions and services that they are working on collaboratively or not with Tahiti Tourisme. In order to ask the service supplier more information about those promotions and services advertised on the website or to get a quote, visitors or others must provide some personal information in order to be contacted by the service supplier. This may include your name, address, telephone and fax numbers, email address and other pertinent information. The personal information you provide will be sent to us using a secure method, in order to assure that your personal information is securely and safely transmitted. However, please understand that no one can give an absolute assurance that information intended to be maintained as private, whether transmitted via the Internet or otherwise, cannot be accessed inappropriately or unlawfully by third parties. We have taken and will continue to take reasonable steps to ensure the secure and safe transmission of your personal information. 98713, PapeetePlease allow 10 business days for us to process your opt-out and include your email address if you opt-out via postal mail.Please note that Tahiti Tourisme will never send you an email requesting your password, credit card number, social security number or other similar personal or private identification information (“Personal Information”). If you receive an email that looks like it is from Tahiti Tourisme, but asks you for Personal Information, it is a fraudulent email and you should not reply or provide such information. We treat the Personal Information you provide to us as confidential information. 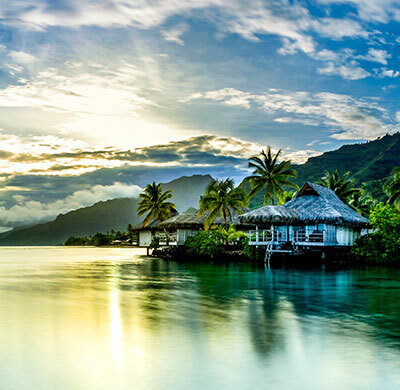 After Personal Information reaches Tahiti Tourisme, it is stored on a secure server that resides behind firewalls designed to block unauthorised access. 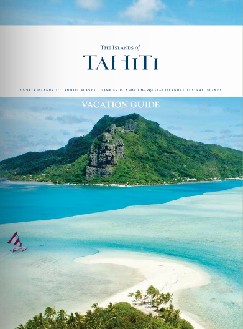 Tahiti Tourisme uses the services of third parties, such as interactive marketing agencies, market researchers and email service providers to assist us with marketing and promoting the website. 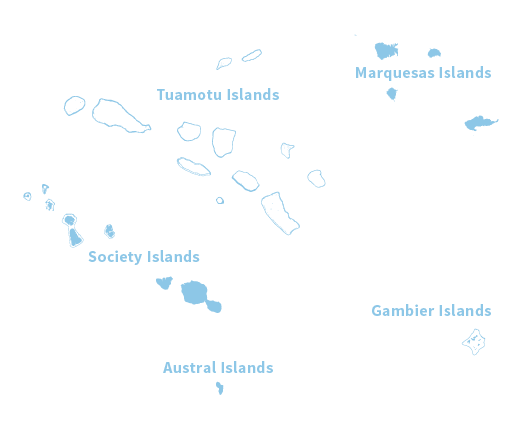 These parties are contractually prohibited from using personally identifiable information for any purpose other than for the purpose Tahiti Tourisme specifies. We do provide non-personally identifiable information to certain service providers for their use on an aggregated basis for the purpose of performing their contractual obligations to us. We do not permit the sale of Personal Information. If you would like us to delete all of your personal information (except for information that we keep for record-keeping purposes) and/or remove your name and address from promotional lists (including any personal information gathered by our service providers) and place your name on our “do not contact” list, you should contact us at webmarketing@tahiti-tourisme.pf. In the future, we may need to change this privacy statement. All changes will be made here so that you will always know what information we gather, how we might use that information and whether we will disclose it to anyone. This statement was last updated on August 23, 2017. See also the Terms and Conditions of use.